MAPS for Kids was passed by voters in 2001. 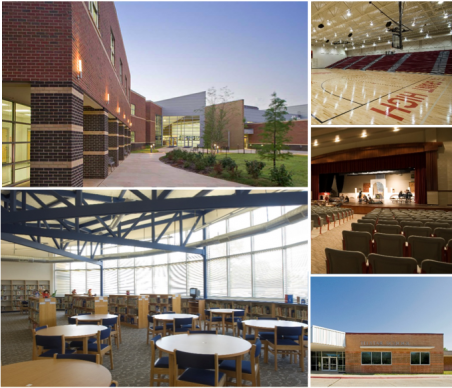 This $700 Million program combined a temporary sales tax with a school bond issue to replace or renovate every school in the urban Oklahoma City Public School district, along with $52M in technology and $9M for transportation. 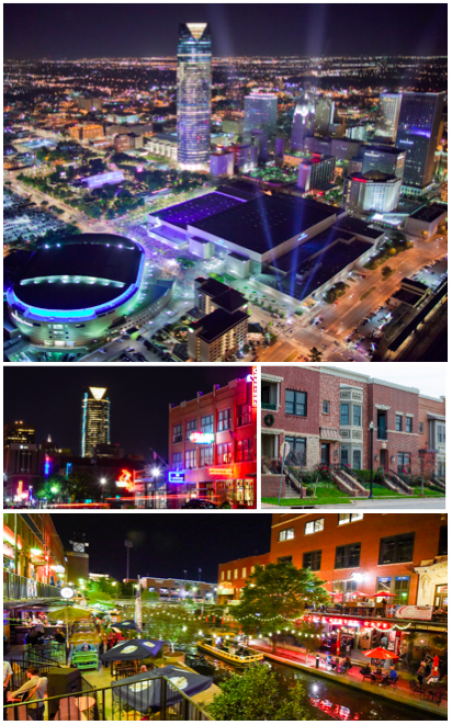 The program also provided capital for more than 400 approved projects in 23 area school districts based on their City of OKC student enrollment. Since 2000, voters in Oklahoma City have approved nearly $3B to improve basic infrastructure in the city. This includes streets, water, libraries, public safety and more. In 2017, voters also approved an additional temporary one-cent sales tax to augment these infrastructure improvements for 27 months. The Devon Energy Center is a $750 million, 52-story office complex opened in October of 2012. 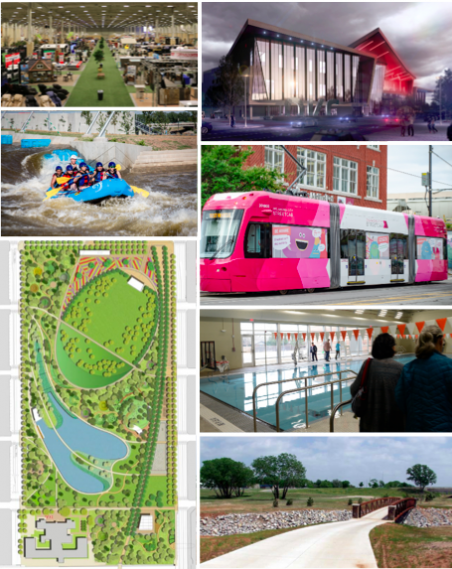 A tax increment financing district was created to capture $125 million of the incremental tax from this development to redesign downtown streets, sidewalks, parks and plazas. 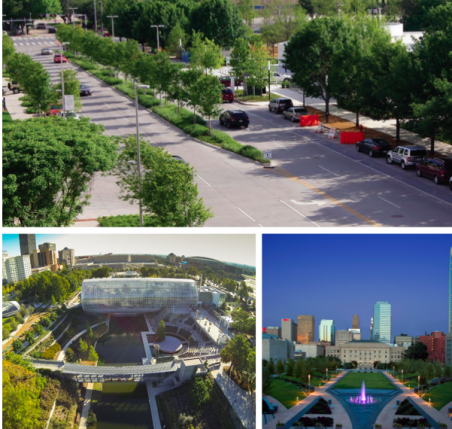 The program included major renovation of Myriad Botanical Gardens and Bicentennial Park. 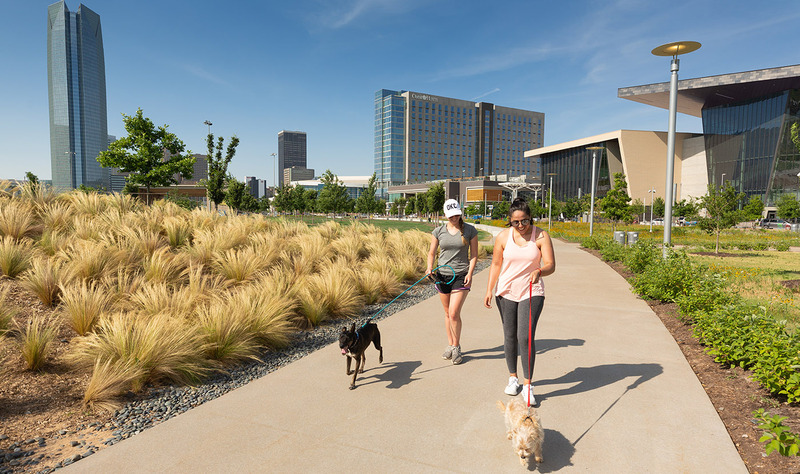 Brookings Institution and Project for Public Spaces completed a growth strategy for the district in 2017 that takes advantage of the city’s research strengths in health, energy and aerospace. A new coordinating entity is driving the implementation of the study recommendations. Total MAPS investment downtown of $1.2 billion and private investment of more than $6 billion. 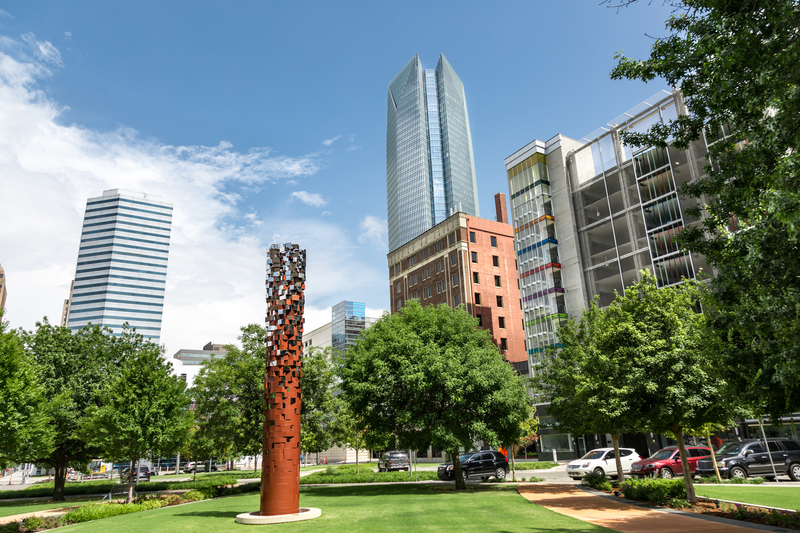 Greater Oklahoma City is well-positioned not only as a region itself, but also as a market at the center of one of the nation’s most exciting growth corridors, the I-35 megalopolis. Companies can leverage a substantial network of higher education, CareerTech and Pre-K-12 programs that are creating a talented workforce well-positioned to compete in a highly competitive, skills-driven environment. 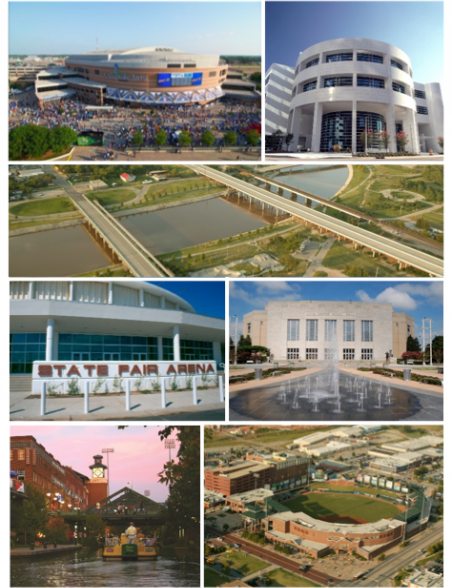 Oklahoma City has been a right-to-work state since 2001. Union membership, as a percentage of the labor force, is half the national average. Entrepreneurial ambition has been a strong suit in Oklahoma City ever since the day Land Run settlers turned a prairie into a tent city of 10,000. 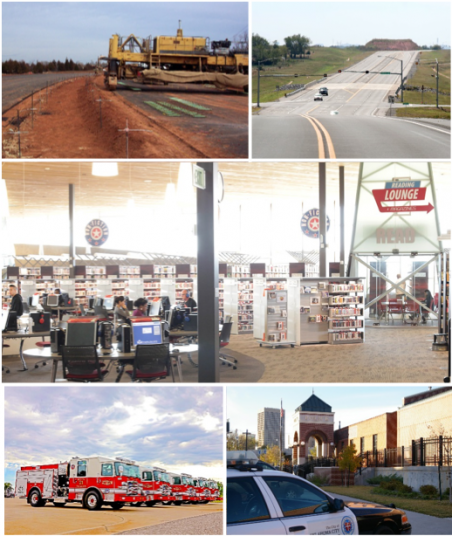 Companies created in Oklahoma City with long term growth and success –Love’s Travel Stops, Sonic Drive-ins, Hobby Lobby, Devon Energy, Chesapeake Energy, Cytovance, Express Personnel, American Fidelity and Paycom. Start-ups with significant funding and rapid growth include WeGoLook and Selexys Pharmaceuticals. 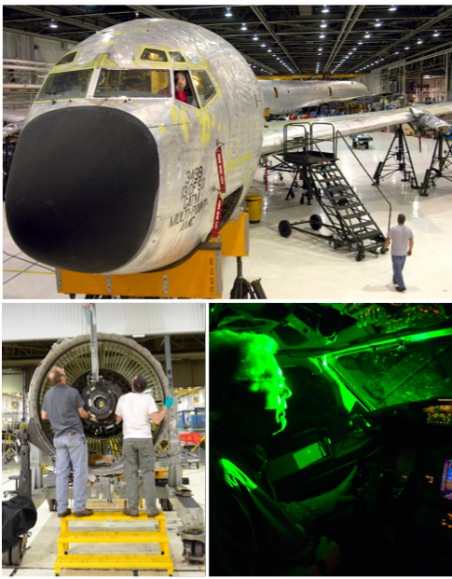 Other growing start-ups include Oseberg, Exaptive, and Tailwind. 56,000 people employed at firms age five years or less. Discretionary deal-closing fund that provides qualifying companies with a cash award based on newly created jobs. Qualifying companies can directly receive up to 10% of total payroll in the form of quarterly cash payments for up to ten years. 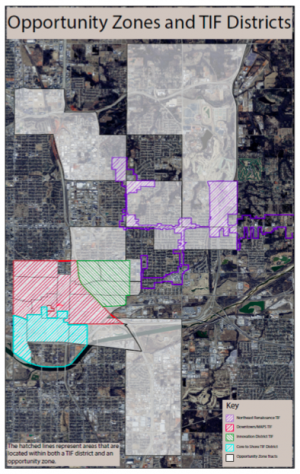 Oklahoma City has 13 TIF districts designed to promote private development in targeted areas. Four of these districts overlap or are contained within the opportunity zone. New Markets Tax Credits, Investment Tax Credits, Low Income Housing Tax Credits and Historic Preservation Tax Credits are available based on the project. For projects that are revenue positive to the state, this program allows annual cash payments ranging of up to $5 million over a 3-5 year period.